So, the blog has become a bit beach heavy - I know, I know...I can't help this lazy lifestyle I'm currently leading! Got to try them all out though, haven't I? 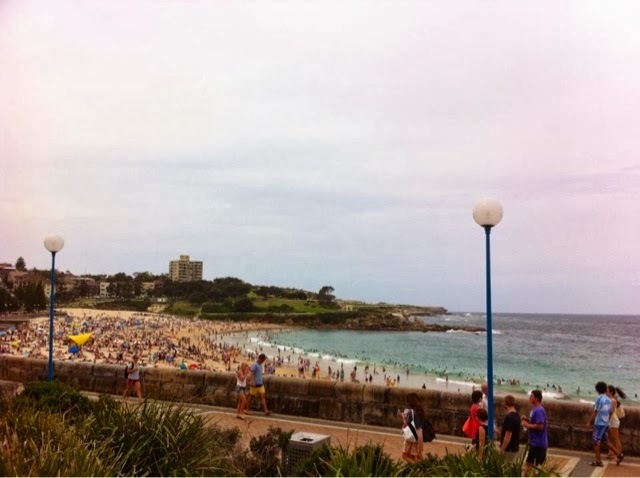 Coogee beach is probably the closest to our apartment and, aside from Manly beach (which I will tell you about soon), it's one of my favourites. 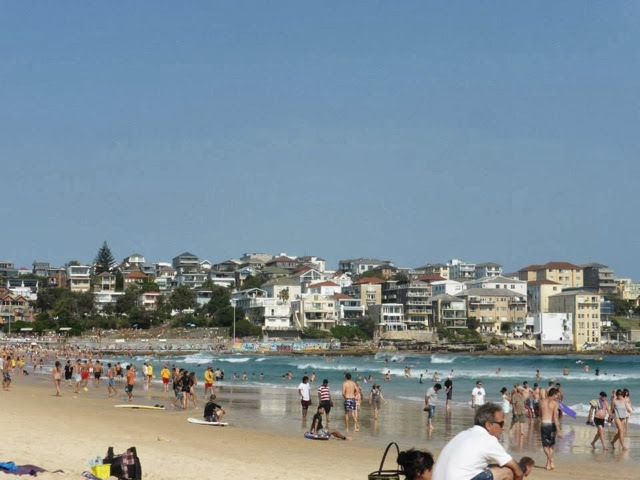 We've been here most weeks since I've been living in Sydney and thankfully the blue skies and sunshine always stick around. 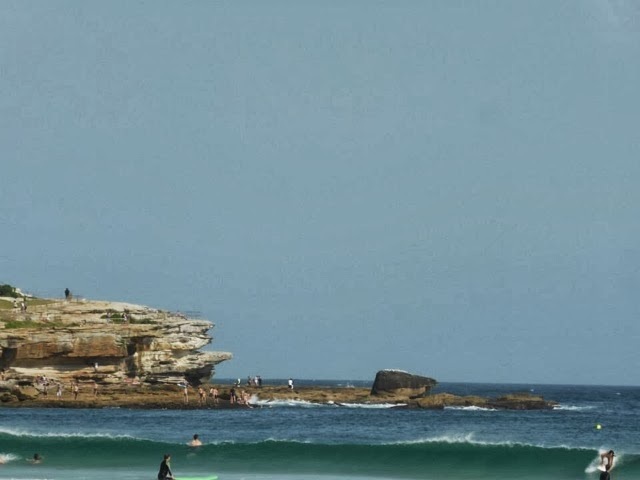 I spend my time tanning, of course, but mostly I'm in absolute awe of this surfers. Not only am I jealous of their talent (I'm desperate to keep learning!) but it absolutely fascinates me. 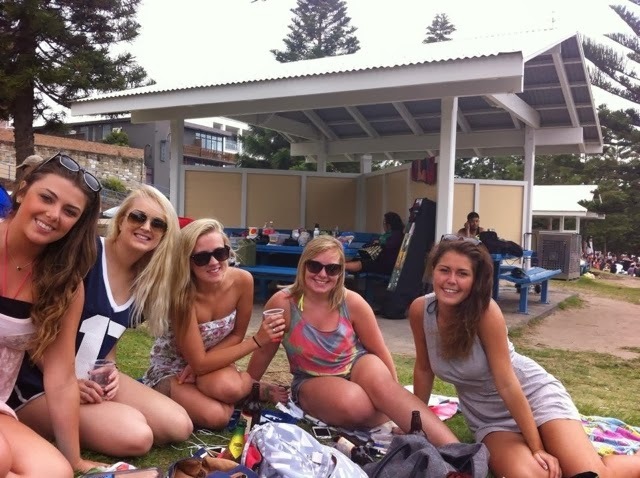 Our first encounter with Coogee was on New Years Day when we came as a big group for a barbecue. That's another good thing - free barbecues - bring your food, utensils and clean it down after and you've got yourself a good deal.